Capefirst Funding is a partnership of professionals providing specialized business and commercial real estate financing solutions. 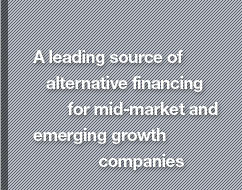 In today's challenging economy, alternatives to traditional funding approaches have never been more important or useful. Our goal is to deliver solutions customized to your organization's specific needs, freeing you to focus on operations and growth while making the most of your company's assets. We finance accounts receivable and purchase orders, fund contracts and projects, lease equipment, and provide debt and equity capital. Contact us with your requirements and questions.